There have been a lot of major events with Washington Sports teams in the D.C area over the years, and back in 1997 when the then MCI Center opened its doors it changed the face of the entire neighborhood for years to come as we know it now as the new Chinatown. Can a tentative deal for a new sports arena in Congress Heights create the same buzz, the city and Ted Leonsis believe so. Today another new milestone for the Wizards and Mystics franchises came with the announcement of the state of the art 5,000-seat arena and practice facility that’s supposed to be built in one of the District’s poorest areas. 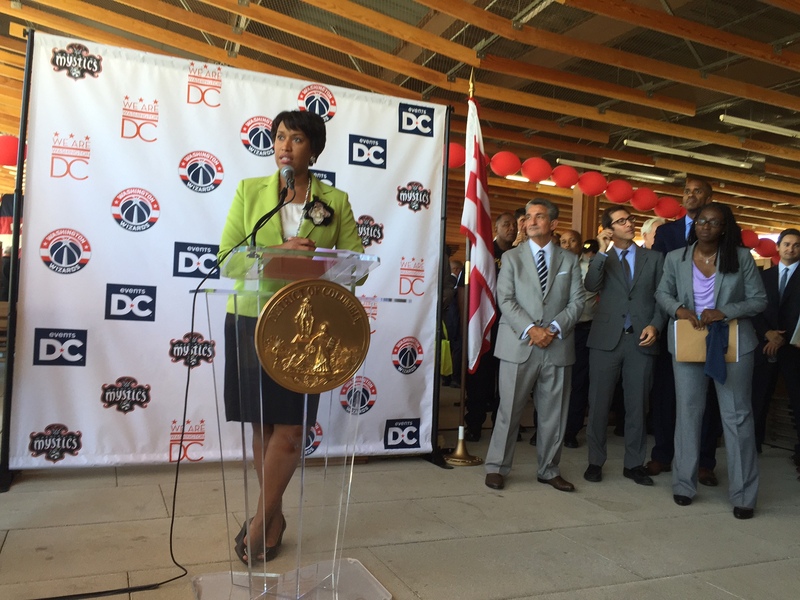 In addition to hosting Washington Wizards practices, the facility in Southeast D.C. will be home to the Washington Mystics. Much of the money being used to build the project will come from tax dollars raised by the city, but little will come from the teams. 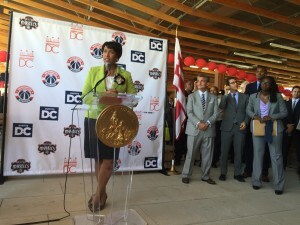 When the mayor was asked if Leonsis was paying enough by chipping in about $5 million and an extra $10 million for community redevelopment, she believed that it was a needed change and will help the city. “We feel very strongly that we have reached a good deal for the District of Columbia that is going to bear many benefits for years to come,” said District Mayor Muriel Bowser. Previously, Leonsis also said a new practice facility would also house a future D-League affiliate for the Wizards, and a facility that can fit 4-5,000 people would certainly fit the D-League mold. He also said at that time he expected construction of the new facility would take 18 to 24 months. Optimistically, that would allow the Wizards to start practicing there in March 2017, and most likely be ready in time for the start of the 2017-18 season.